Asked what the team can achieve this season, Dillon said, "I have to look at the table, but I know after this game it puts us back in contention. I would not even say a third-place finish (because) Guyana have now lost two games...If we do the right things, there is still a possibility of us walking away with this (title)." 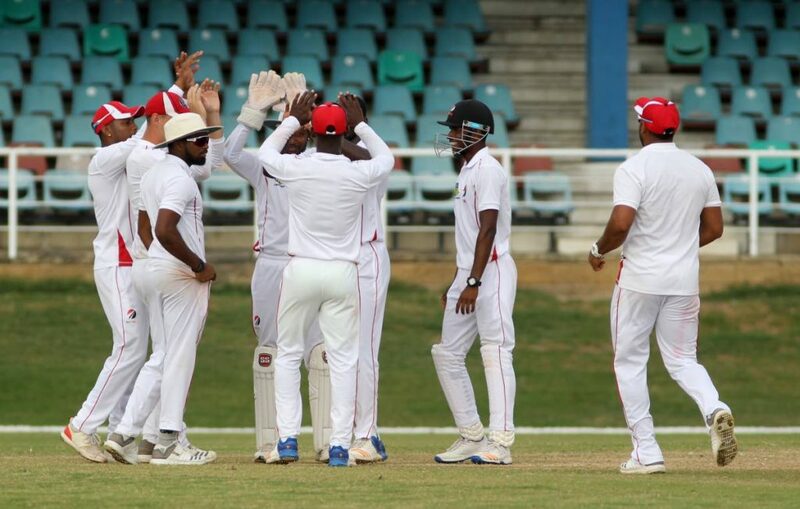 The Red Force were in fifth place on the six-team table before the Guyana contest. Jaguars were off to a fairly comfortable start in their chase, with openers Chandrapaul Hemraj (30) and Tagenarine Chanderpaul putting on 44 for the first wicket. Hemraj and Chanderpaul were indecisive in between the wickets as on two occasions they were almost run out. After progressing to 29 without loss at lunch, the pair continued where they left off with Hemraj playing some shots and Chanderpaul displaying his usual patience. Fast bowler Odean Smith got the first wicket with the edge of Hemraj 's bat to give wicketkeeper Ramdin a simple catch. Following the wicket, progress was slow for Guyana with captain Leon Johnson and Chanderpaul at the wicket. With the score on 61, the Red Force pressure was rewarded when Chanderpaul was out leg-before for 18 to pacer Ravi Rampaul. The Jaguars could only add one more run when Jeremy Solozano lifted the entire Red Force team with a moment of brilliance. Fielding at silly mid-on, he took a brilliant one-handed diving catch to dismiss Vishaul Singh for duck off spinner Bryan Charles. After getting to 79/3 at tea, it all went downhill for the Jaguars in the final session as it quickly became 89/6. 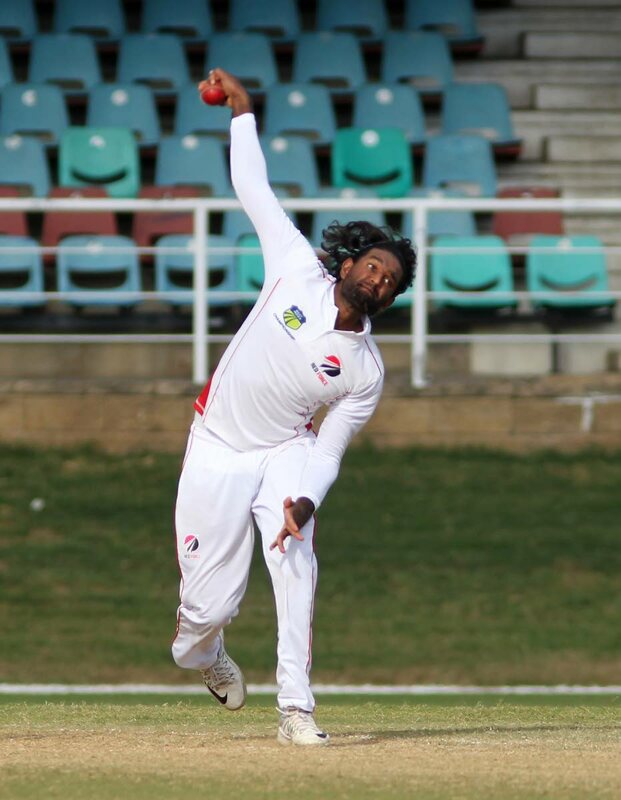 Charles got Johnson for 22, before Raymon Reifer fell for five to fast bowler Anderson Phillip, and leg-spinner Imran Khan joined the party with the wickets of Anthony Bramble for three. Romario Shepherd and Keemo Paul decided they were not going to throw in the towel as the pair entertained the handful of spectators with a 32-run seventh wicket partnership. However, Paul's aggression led to his demise as he was caught by Phillip at mid-on going for another big shot to give Khan another wicket. Shepherd and the other batsmen continued to play shots, but could not survive as the Jaguars were dismissed for 182. The wickets were shared among Khan (3/45), Phillip (2/52), Charles (2/21) and Smith (2/29). Earlier, Jason Mohammed was dismissed for 83 after resuming the day on 79 not out. Mohammed faced 202 deliveries and struck nine fours. Khan was eventually out for 46 after starting the day on 40 not out, to help Red Force to 317 in the second innings. The fast bowling pair of Paul and Reifer snatched 4/81 in 24 overs and 4/64 in 19.1 overs respectively. Reply to "Dillon brings ‘belief’ to winning Red Force"